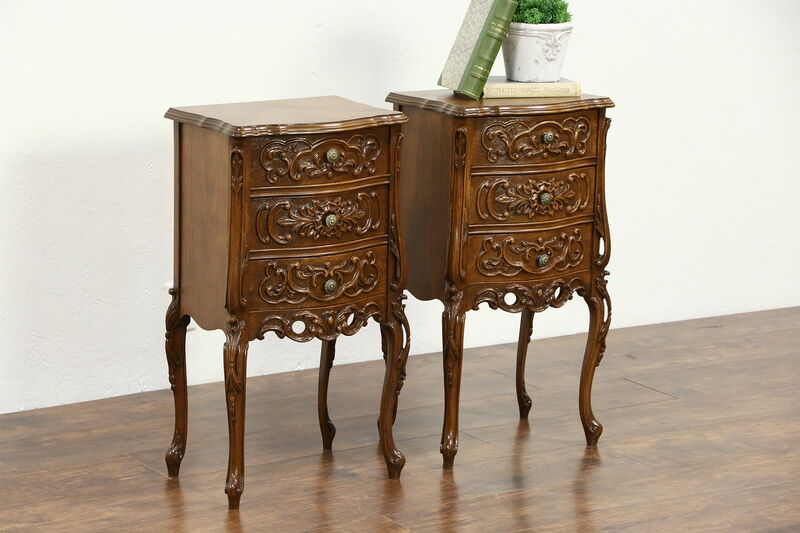 A pair of walnut nightstands from about 1940 were richly carved in the French manner. American made vintage furniture, the restored finish is in excellent condition. Drawers have solid oak dovetailed sides and original brass pulls. Measurements are 16" wide, 12" wide and 29" high. Please view 18 photos at full screen size for best detail.